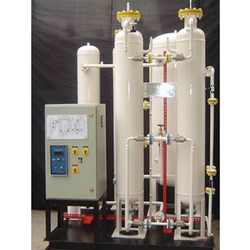 We are a leading Manufacturer of nitrogen plants and psa nitrogen plant from Vadodara, India. Nitrogen outlet dew point 45 degree cel. Specific pressure protection measure of molecular sieve, the molecular sieve is difficult of pulverisation, long sieve life. Low energy consumption, the product of high nitrogen purity. Reasonable internal components, air distribution uniformity, reduce air high-speed impact. 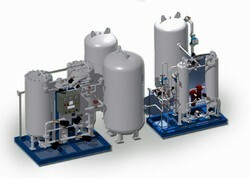 We supply different capacities of PSA Nitrogen Plast upto 99.999% purity from different process .